With an added focus upon ownership of locomotive assets. In pouring rain, 70020 with 4O14 07:33 Lawley Street - Southampton. The next expected train was 4O27 05:21 from Garston led by 70011, but this left 173 minutes late, and lost further time at Landor Street (in Birmingham), passing Eastleigh back at 173 minutes late, but after my parking ticket had expired. 70020 is owned by Macquarie European Rail Limited (Luxembourg Branch) which is part of an Australian banking group. 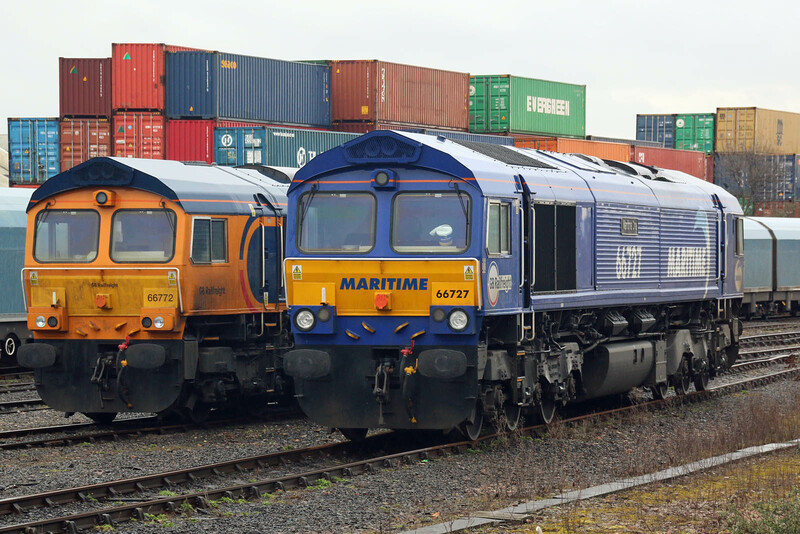 GBRf residents were 66772 and 66727 Maritime One. 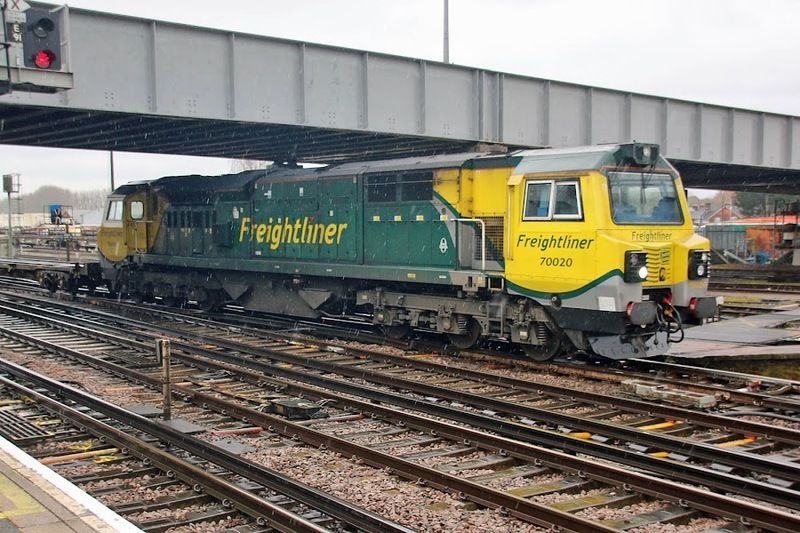 The former is owned by GBRf, now a subsidiary of Hector Rail (Sweden), itself owned by EQT Infrastructure II (Sweden); the latter is owned by Eversholt Rail, under the parent control through UK Rails S.A.R.L. (Luxembourg) of CK Infrastructure Holdings Limited and CK Hutchison Holdings Limited of Hong Kong. 66548 operated as 0O26 10:50 Hinksey - Eastleigh which continued to Maritime. 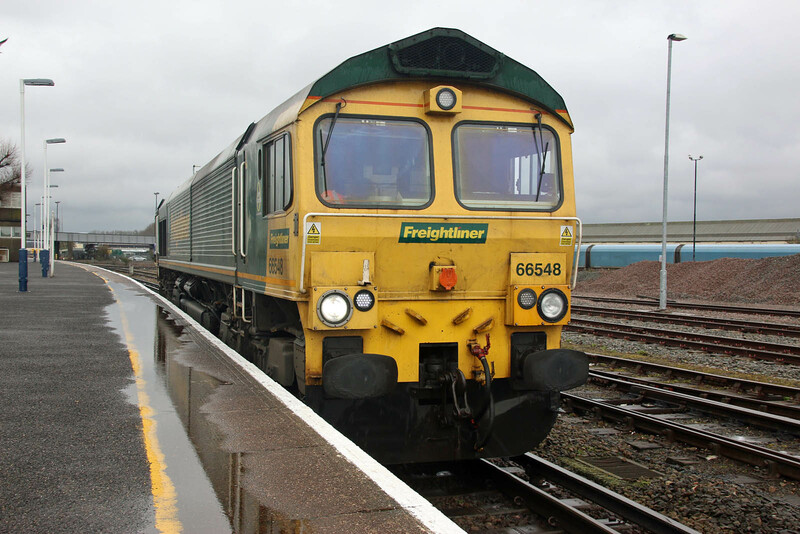 66548 is owned by Porterbrook. "In October 2014 the Porterbrook Group of companies was acquired by a consortium of investors including Alberta Investment Management Corporation (“AIMCo”), Allianz Capital Partners (“ACP”) on behalf of certain insurance companies of the Allianz Group, EDF Invest and Hastings Funds Management." (Canada, Germany, France, Australia). 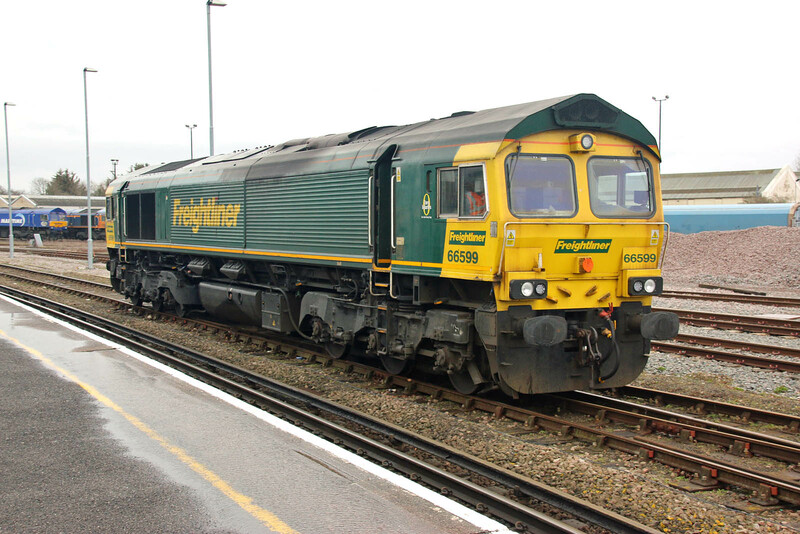 66599 arrived from Maritime to pick up ballast wagons for 6xxx 13:58 Eastleigh - Gatwick. 66599 is owned by Beacon Rail Leasing (Luxembourg), now a subsidiary of JP Morgan Asset Management (parent company in the USA). 66020 with the cars, 4O40 10:44 Morris Cowley - Eastern Docks. 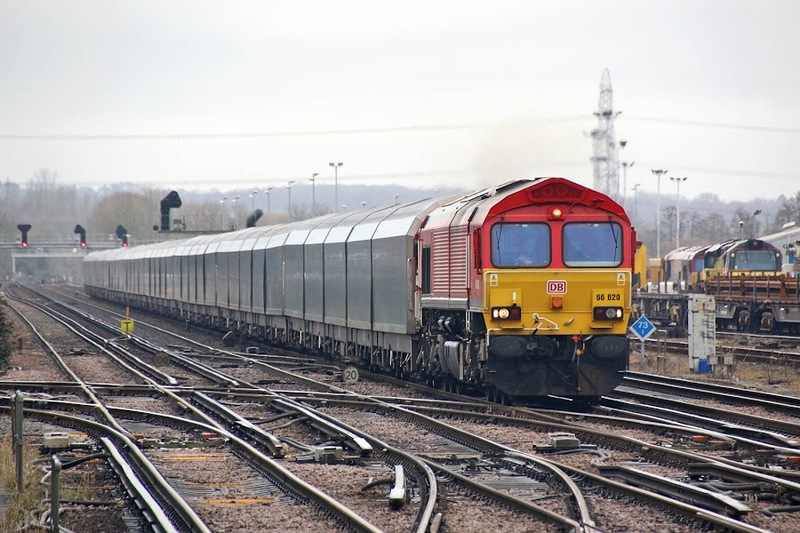 66020 is owned by the company, DB Cargo UK, in turn a subsidiary of Deutsche Bahn AG, a private joint-stock company, with the Federal Republic of Germany being its single shareholder. 66776 Joanne arrives light engine 0Y68 10:31 Tonbridge West - Eastleigh. 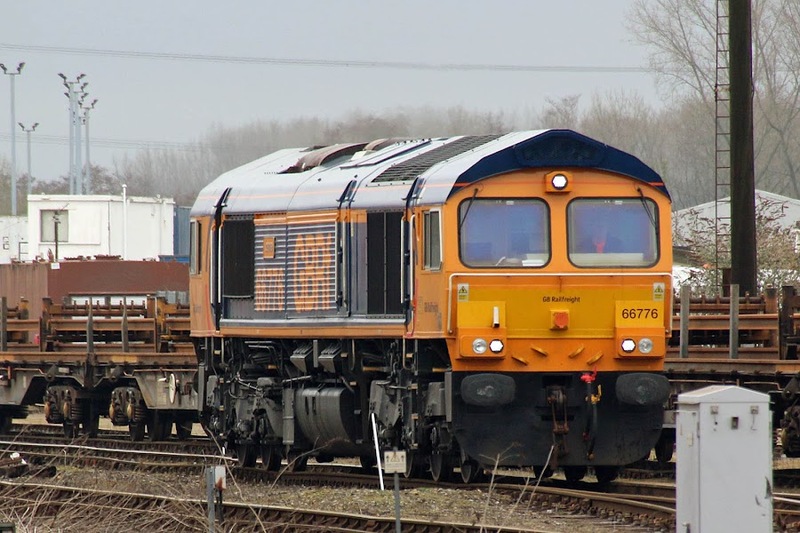 The locomotive is owned by the GBRf company, see 66772 above.